Four months ago, President Barack Obama pointed to the United States’ counterterrorism campaign in Yemen against Al Qaeda in the Arabian Peninsula (AQAP) as a model worth emulating. “This strategy of taking out terrorists who threaten us, while supporting partners on the front lines, is one that we have successfully pursued in Yemen and Somalia for years,” the president said in a speech outlining a strategy to confront ISIS. But what happens when the local partner loses power? Last week, Yemen’s American-backed president, Abdu Rabbu Mansour Hadi, resigned along with the country’s prime minister and entire cabinet. The resignations came after Houthi rebels, who have tightened their grip on Yemen’s capital Sanaa since last September, surrounded the presidential palace and demanded concessions. 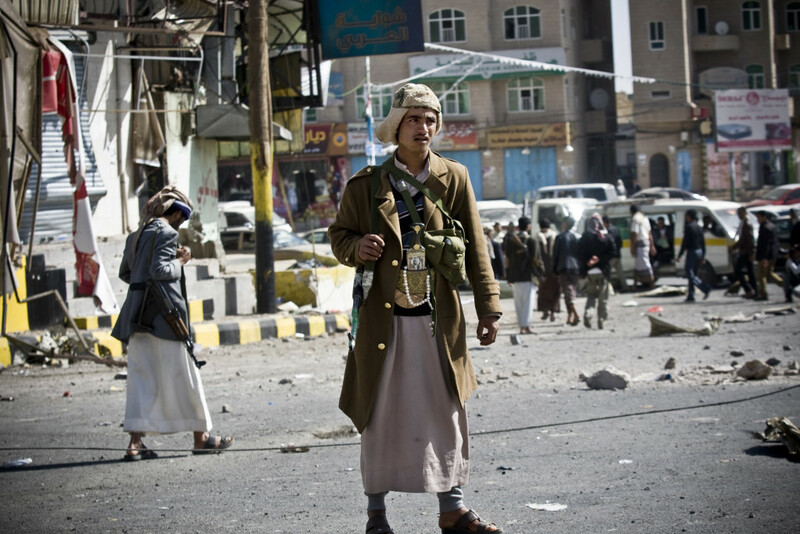 The Houthis now effectively control Sanaa, although it remains unclear who is in charge. And the political crisis comes just weeks after AQAP claimed credit for the deadly attacks on the French satirical newspaper, Charlie Hebdo. FRONTLINE asked four experts to weigh in on what happens next with America’s counterterrorism fight against AQAP. Adam Baron is a visiting fellow at the European Council on Foreign Relations and previously worked as a journalist based in Sanaa, Yemen. Laura Kasinof is a former New York Times reporter who covered Yemen from 2011 to 2012, and author of Don’t Be Afraid of the Bullets: An Accidental War Correspondent in Yemen. Martin Reardon is a senior vice president at The Soufan Group. He served in the FBI and specialized in counterterrorism. Barbara Slavin is a senior fellow at the Atlantic Council’s South Asia Center and specializes in Iran and U.S. policy in the Middle East. Who are the Houthis? Does the United States have any kind of relationship with them as of now? How much truth is there to the assertion that they’re backed by Iran? Kasinof: They fought an on-again, off-again war since 2004 with the Yemeni government, but it was always fought in the far north, far away from the capital. But since the government broke down in 2011, as a result of the Arab Spring, the Houthis have expanded their territory within the north — where they live — and have slowly made their way to the capital, fighting tribes along the way and making alliances with other tribes. Eventually, last September, they stormed Sanaa, took over some government ministries, and since then have been pushing their will on the Yemeni government. The president, Hadi, didn’t really have a choice other than to resign given the situation. There certainly is a relationship with Iran. The extent to which Iran is dictating the Houthis decisions and movements right now? Not so much. There are a lot of local grievances in Yemen. It’s not like every single move they do is somehow dictated by Iran. Iran tried to increase its influence in Yemen since 2011. It saw an opening when the [Arab Spring] protests started. I spoke to young Houthi activists who were flown to Tehran to attend [ideological] conferences. It seems that they’re also financially backed by Iran. Certainly, the Houthis are an enemy of Saudi Arabia. Saudi Arabia sees them as being an extension of Tehran in Yemen. Part of Houthi rhethoric is anti-American, but their actions have not been anti-Western — yet. The Houthis have been against Al Qaeda, for sectarian reasons. Al Qaeda encroached upon their territory in northern Yemen. Their rhetoric since they entered Sanaa has been that President Hadi was a pawn of the international community, and he was only working for the international community, instead of what was best for the country. And the Houthis aren’t going to do that. They’re for the common Yemeni man and against Western encroachment. [The current situation] is certainly going to disrupt American relations. The Houthis have a local base of support whereas President Hadi did not. The Houthis don’t need the West for support. And that, I’m sure, is worrying Washington. We just don’t know yet what the Houthis are going to do. There’s this whole theory about the great game between Iran and Saudi Arabia. Most counterterrorist and geopolitical specialists think there is some degree of truth to the fact that Iran is backing them. But the Houthis weren’t going after the central government because they were Sunni, but because they were a disenfranchised group. If you look at the Houthis’ banner it says, “Death to America. Death to Israel.” They don’t conduct attacks against the United States. The U.S. government would be careful about relationships in any country with somebody other than the government, because it gives the impression that you’re trying to undermine the government. Slavin: The alliance with the Iranians is more an alliance of convenience than something that’s based on religion. The Houthis also had a falling out with the previous president [of Yemen, Ali Abudullah] Saleh, and they apparently are now back in with him again against Hadi. It’s a combination of things: It’s religious. It’s tribal. It’s political. This is a group that feels they haven’t had the influence they’ve wanted under the administration of Hadi for the last couple of years. But they also understand that they don’t have support, particularly in the south of the country. I don’t think they believe they can rule the country by themselves. There has to be some kind of coalition or the place just falls apart. Iran has apparently stepped up its support to this group since 2011. They saw an opportunity there to annoy the Saudis. But it’s not been a very robust relationship, and those who try to compare it to the relationship Iran has with Hezbollah in Lebanon, for example, are greatly exaggerating the relationship. Iran essentially helped create Hezbollah in Lebanon, while the Houthis have been there a long time. There have already been some predictions that the instability will help Al Qaeda in the Arabian Peninsula. How does the current situation benefit them? Baron: On the one hand, the Houthis are very strong opponents of AQAP. They view the battle against AQAP as an existential threat, and they want to destroy AQAP. So in the one sense, it could hurt AQAP. In the larger sense, the Houthis are also helping AQAP. They’re creating a situation where a lot of Yemeni Sunnis feel increasingly marginalized. You’ve seen situations where more mainstream Sunni tribesmen have fought alongside Al Qaeda against the Houthis. In addition, this whole situation has thrown Yemen into political uncertainty, accentuating the power vacuum that Yemen has experienced for quite some time. So that’s also something that will help Al Qaeda, because they feed off of power vacuums. Kasinof: A destabilized Yemen is always good for AQAP. It’s one of the reasons that they have a presence in the country to begin with. There are large parts of Yemen that the central government has never controlled, and that’s great for Al Qaeda. Another problem is that Yemenis who are anti-Houthi, who maybe in the past wouldn’t have allied themselves with Al Qaeda, now might have more of an affinity toward the group because they are the only ones who can stand to challenge the Houthis in Yemen. We saw similar things happening in Syria. ISIS came out as the strongest force against the Assad regime, and Syrians who in the past wouldn’t have wanted to ally with them started to ally with them. A similar thing could happen in Yemen, and that’s very problematic. The country is still very fragmented, with not just two players. But it has gone that way over the past few months. It’s a futile endeavor to predict what’s going to happen next in Yemen. But it’s hard to see how the country couldn’t head towards a more fragmented state. Reardon: For the last several months, the Hadi government has not been attacking AQAP head on. There’s been a reluctance to do that. And that’s something the Houthis have been publicly criticizing Hadi about: “Your military’s afraid to take on Al Qaeda. We’re not.” The Houthis have not shied away from fighting AQAP at all. They’ve been hitting them pretty hard. But this current situation has taken the government’s focus off AQAP. That gives AQAP an opportunity to regroup, train, to recruit and bring new people in. The U.S. has been hitting them pretty hard, but the primary focus in a country’s counterterrorism operations should be by that country’s forces. Reports earlier this week suggested drone strikes in Yemen might be suspended, at least on a temporary basis. Then on Monday, the U.S. carried out a drone strike that killed three AQAP fighters. How does the current situation in Yemen affect U.S. counterterrorism efforts? Baron: What you’re looking at is a situation where due to the disintegration of the Yemeni armed forces, the U.S. isn’t going to be able to provide the training that it usually does. Under Saleh and under Hadi, the U.S. put a great deal of effort into training counterterrorism forces and other elite forces in the Yemeni military. It also makes intelligence cooperation more difficult, because you have reports of the Houthis who are, if not in control, at least extending their influence into the Yemeni intelligence agencies — the political security and national security bureaus. In addition to that, you’re going to see more of a reliance on Saudi intel, because now the U.S. ability to get intel is even more curtailed especially because it can trust the Yemenis less. Because of that, the U.S. relationship with ground troops is going to have to be curtailed in much of the country, and you’ll potentially see more reliance on drone strikes. That being said, the U.S. conducting drone strikes during this politically tenuous time is pretty dangerous. In the eyes of many Yemenis and Yemeni analysts, this has the potential to be even more inflammatory than usual. The Houthis are in control of Sanaa, the capital of the country, and the security installations are based there, so it’ll be very difficult for the U.S. to cooperate in the same manner they have for a long time with the armed forces. We have no idea what’s coming next. If I was going to offer advice to the U.S. government, their best bet would be to hold off and see how things happen. Unfortunately, judging by the drone strike that was launched [on Monday], it seems like they’re not interested in doing that. Slavin: Obviously, it complicates the situation because we’re used to working through certain channels, with the government of Hadi and the Yemeni military. We’ve already reached out to the Houthis, if we didn’t have some sort of relationship with them. I wrote a story for Al Monitor actually, where I quoted Michael Vickers, the under secretary for defense for intelligence, saying that we had reached out to the Houthis. Now I’m getting some pushback from the Pentagon, which says that I misunderstood him, but I asked him quite directly. He said that we did in fact have such lines out to the Houthis. [President Barack Obama], in India, also said that we were continuing our counterterrorism operations. “We continue to go after high-value targets inside of Yemen and we will continue to maintain the pressure that is required the American people safe,” is what he said. I think it’s a little murky now. Who is running the government in Yemen right now isn’t exactly clear. And it’s because of that fluidity that folks don’t want to say exactly what we are and aren’t doing. That’s why you’re seeing so many mixed signals in the press. My impression is that we’re continuing operations, and we’re being careful about how we do them, but the effort against Al Qaeda has not changed. Kasinof: I don’t think there’s any reason that drones strikes are going to be interrupted. … Drone strikes can go on without the government’s approval. In that way, it’s not likely to interrupt U.S. counterterrorism operations in Yemen. And just [two days ago], there was a drone strike. In terms of the relationship with Yemeni leadership, President Hadi has been an ally in the war against terrorists, but he was a largely impotent president so the extent to which that ally was useful is up for debate. 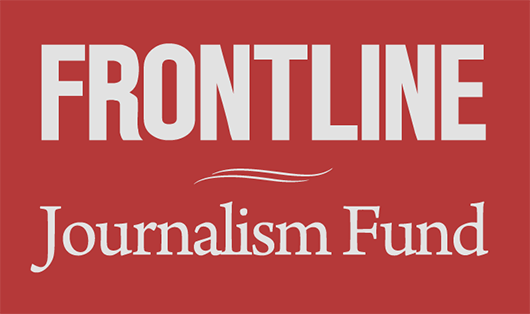 FRONTLINE correspondent and Guardian reporter Ghaith Abdul-Ahad is one of the few journalists to ever infiltrate Al Qaeda-controlled territory in Yemen’s heartland. Watch our 2012 film below.